This support note will guide you through the process of locating your Calxa database. This will be useful for those who have either started using Calxa where some data already exists, or have forgotten the location of their Calxa database. The first question is what type of database you are looking for. It may be easier if you at least know what you are searching for, but If you don’t know, then you can always search for both. Also the following guidelines might help decide what to look for first. 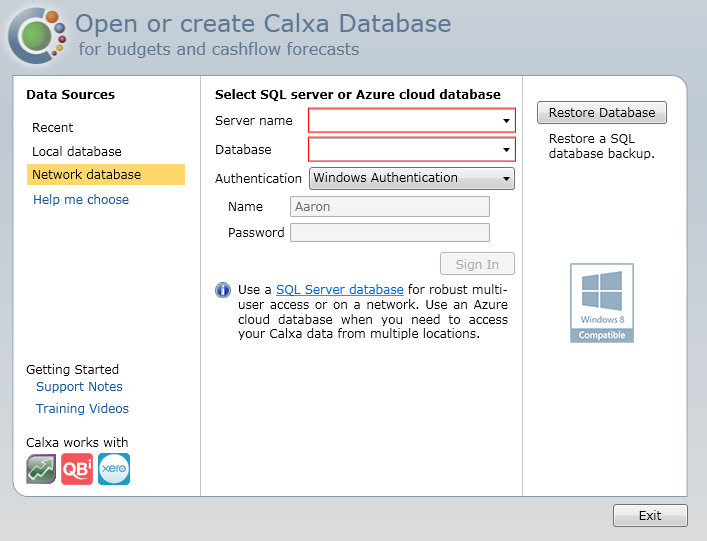 If there have been multiple Calxa users it is likely that you will be looking for a Network or SQL Server database. If there has only ever been one user, or you connect to a Terminal Server to run Calxa, then you might be looking for a Local database. 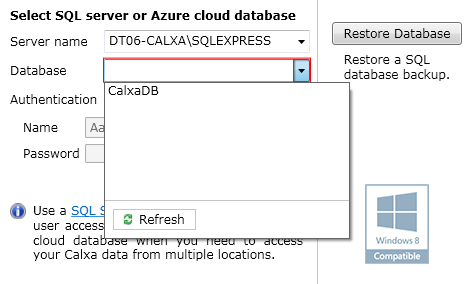 Finding your local Calxa database can be a little bit trickier than finding your SQL Server database. The basic approach for finding a local database is to search your local directories for files with an extension of CalxaDB. 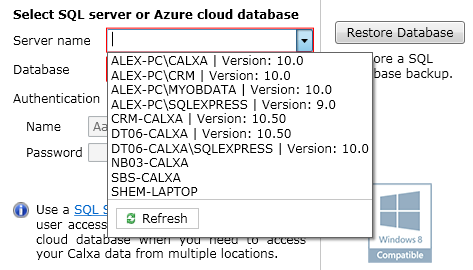 Calxa databases have this extension and if you find these then hopefully you find the correct database. 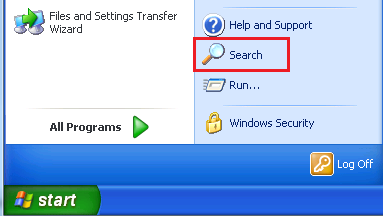 Illustrated below are steps for searching on Windows 7 and Windows XP. Other operating systems might have slightly different steps but essentially you just need to search for the extension CalxaDB. You may potentially have more than one Calxa database on your machine. Please be aware that databases names that have been appended with CopyBeforeUpgradeSomeDate are backup files created by Calxa when upgrading databases on the date specified. These are not likely to be the file you want but can be used if no alternative can be found. 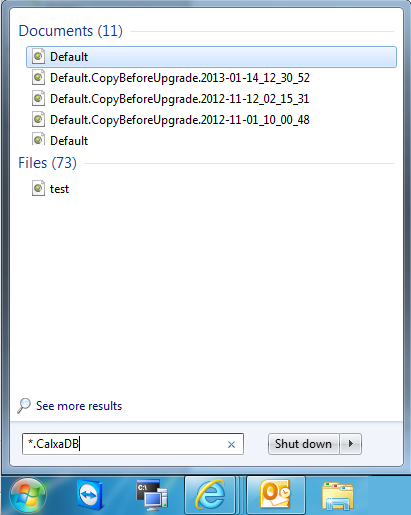 Assuming you do not have Calxa open you can double click on the file to open it with Calxa. If you have more than one Calxa database to choose from the results, then you may need additional information to help decide which file is best. Following is some tips to gather more information. Right click on the files in the results list and click on Open file location. 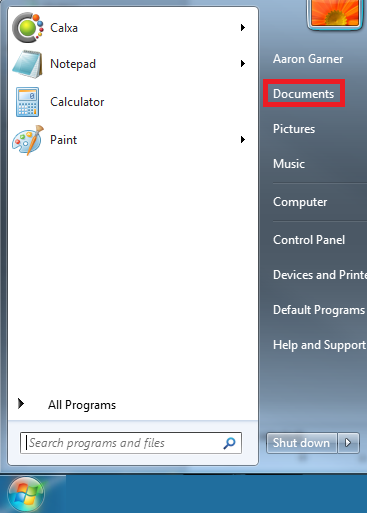 This will then open Windows Explorer to the folder that contains the database. The Calxa database you wish to use will probably have a Date modified date that is closest to the current date. For example, in the screen below the Calxa database that you would want to use will probably be Default as it is closest to the current date. Open the databases in Calxa and determine which is the one you need based on information such as, the last updated date in Organisation Management or the budgets and actuals reported. You can then choose a location you want to search but we recommend searching an entire drive like Local Disk (C:). 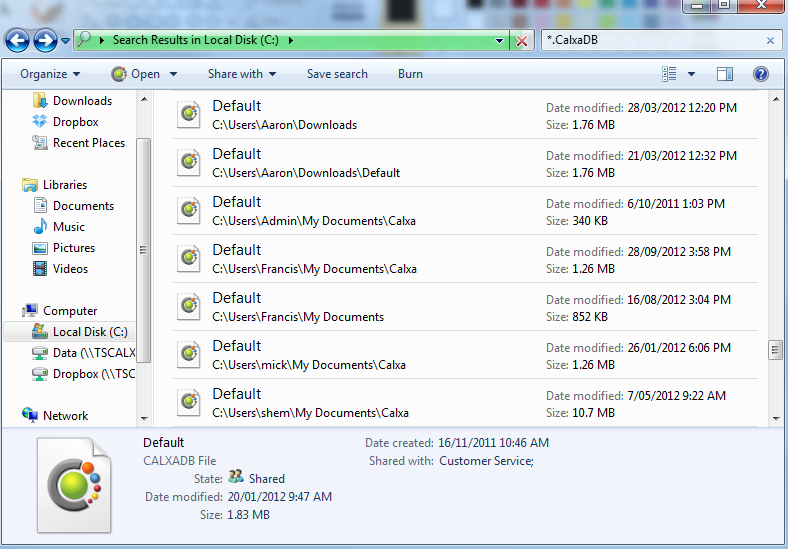 In the top-right hand corner of Windows Explorer there is a field that says Search Local Disk (C:). Click in this field and type, or copy and paste, the following (without quotation marks) “*.CalxaDB”. This is a wildcard search that will display all Calxa databases on the disk you are searching. If you have more than one Calxa database to choose from the results, then you may need additional information to help decide which file is best. Use the tips shown in step 6 of the previous search approach. In the All or part of the file name field type in, or copy and paste, the following (without the quotations marks) “*.CalxaDB”. After you have entered this into the field, press the Search button. 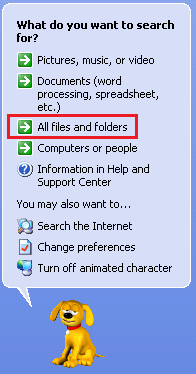 Right click on the files in the results list and click on Open file location. 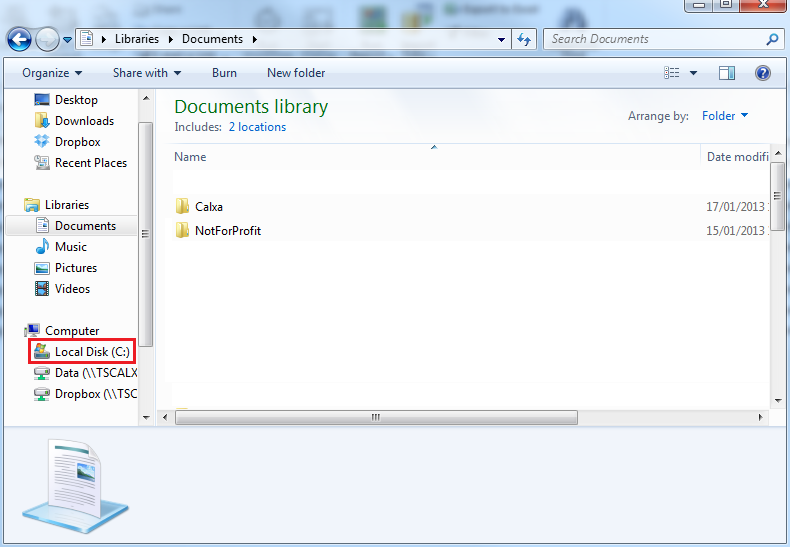 This will then open Windows Explorer to the folder that contains the database. The Calxa database you wish to use will probably have a Date modified date that is closest to the current date.